Yes! I’m going to post tonight, but until then two pictures to whet your appetite. 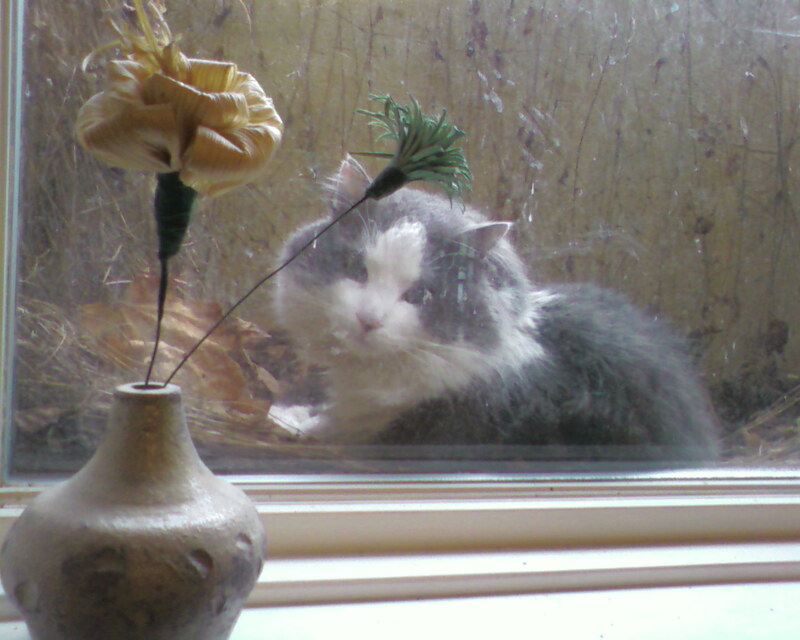 The first is “Kitty” my landlord’s cat sitting in my bedroom window (where the frogs lived this fall). 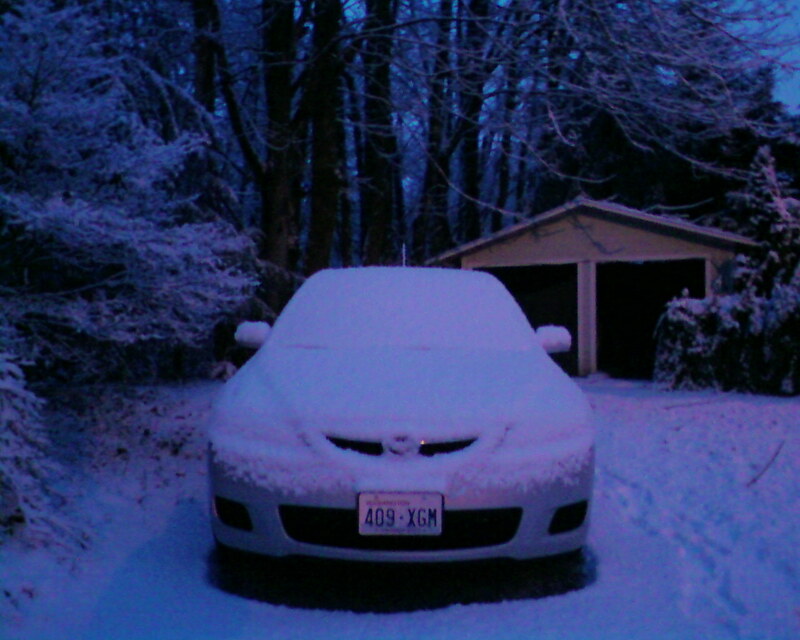 And the second is the two inches of snow that closed schools and even the office! 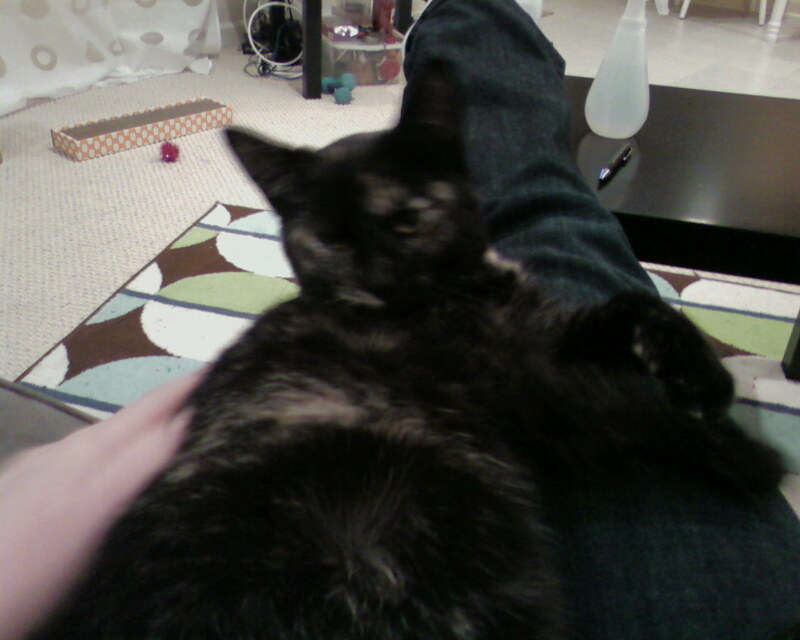 To start out right I’m including a picture of my new kitten, Jasmine. She’s almost five months old, a sweet-heart, fiesty and I’ll add more pictures (both of her and the past month) in the coming days. There is lots happening here but you’ll have to stay tuned for the catch-up post.